Hole In One International Pays Out Another One… Right In Their Own Backyard! Reno, Nev. – What’s better than getting to write a check for a big hole in one winner? Getting to write a check after a woman aces a Mercedes! 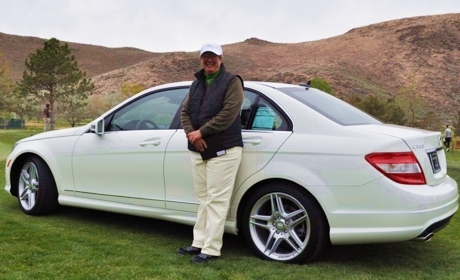 Janice Campbell of Dayton, Nev., won a $45,000 2011 Mercedes-Benz C300 on June 5th at the inaugural Patty Sheehan and Friends LPGA Legends golf tournament. The tournament took place at Reno’s own Hidden Valley Country Club where Campbell aced the 12th hole – a par 3 measured at 161 yards. Our hats off to you, Janice! Not only are we happy to have you as Hole In One International‘s latest beneficiary, but having you represent Northern Nevada as a whole is beyond exciting. Congratulations! Want to capture more golfers at your next event? 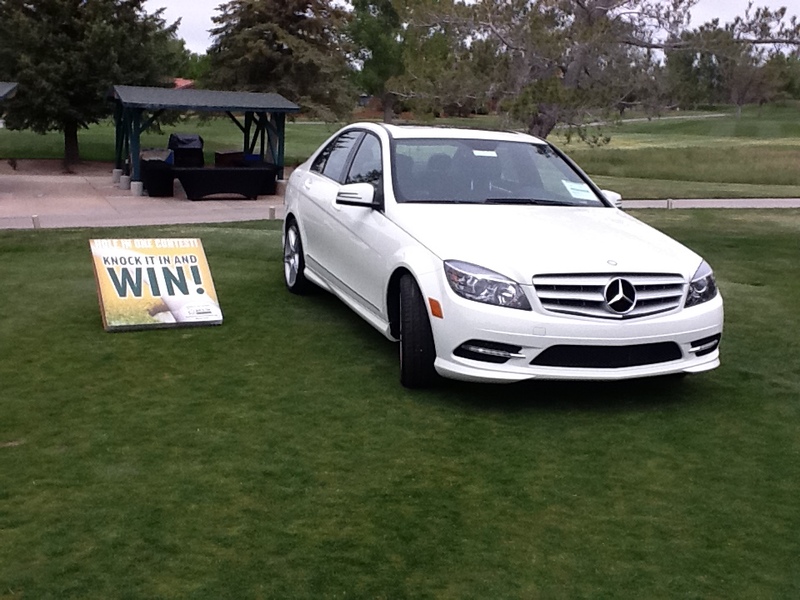 Give us a call at 800-827-2249 or email us… then get ready to tee up for a chance to become our next big prize winner! EDIT 6.14.11: Here are a few photos of our lucky winner and the prize she won!